Sunday afternoons are a peculiar combination of indolence and anxiety, as you scramble to get in the maximum amount of relaxation before the work week starts again Monday morning. Here the horrible heat and humidity of the past week have finally broken and temperatures are back down in the eighties instead of the nineties, a welcome change. After getting my various chores and errands out of the way, I took a walk to enjoy it. 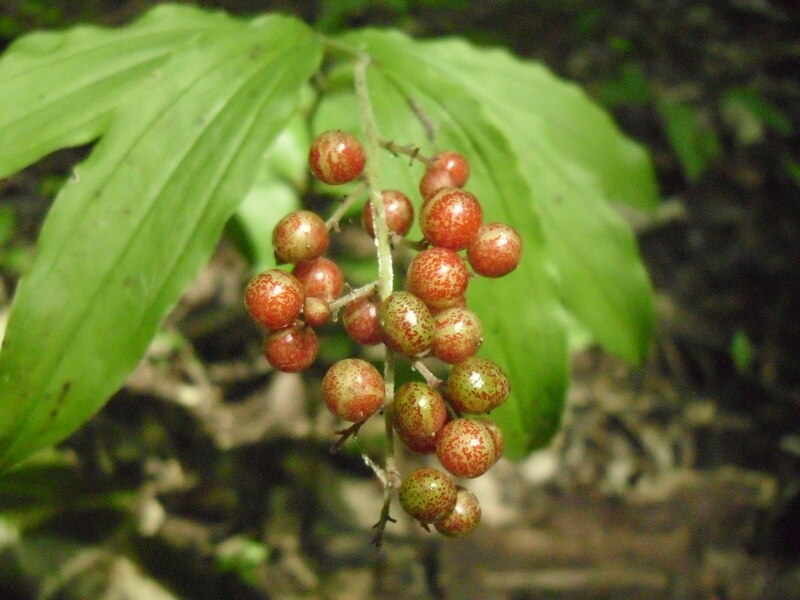 The berries of False Solomon’s Seal, Maianthemum racemosum, are ripening. I recently realized I’d had Solomon’s Seal and False Solomon’s Seal backwards all spring; both species are fairly common on the property. 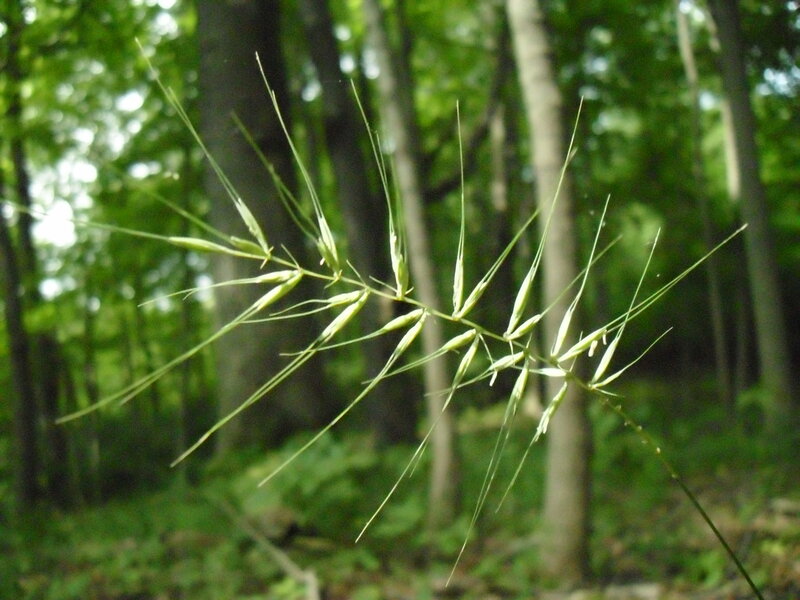 I have no idea what species of grass this is, but the seed head caught my eye. It’s like a piece of modern sculpture. I don’t know the name of the shrubs with these large, papery seed pods, either. Someone told me this spring, but it’s slipped my mind. There’s nothing better than a leisurely walk. Here are some ID’s for you. Bottle-Brush Grass – Elymus hystrix. 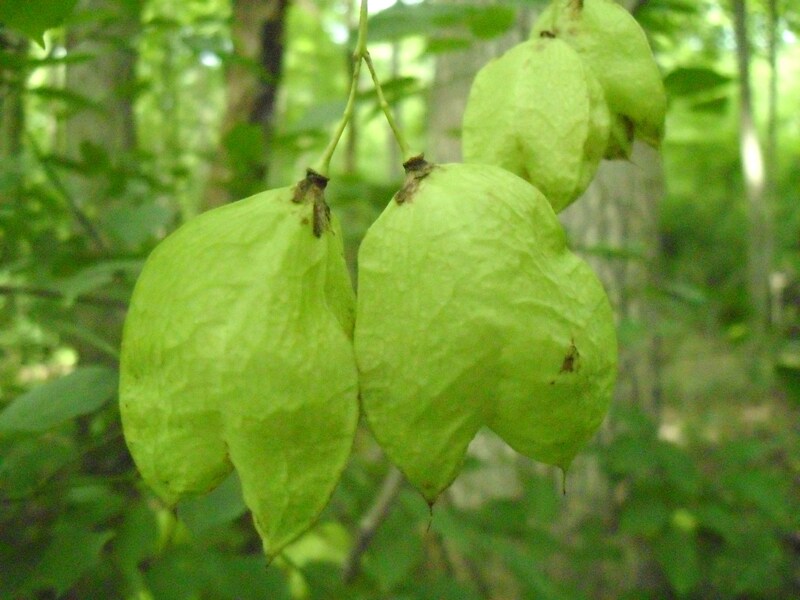 American Bladdernut – Staphylea trifolia.